The experienced team work of Trang Travel Dot Com would be able to stand byand serve you 24 hours daily. Whenever you have a contact, we are ready. My name is Rachada Srepaotong. I born in Bangkok Thailand. 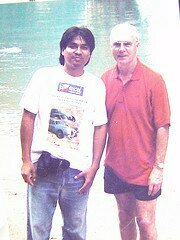 8 year Reporter at Newspaper and Chiff editor Magazine in Thailand. Experence of Graphic design and Art Director more than 20 years. 10 years i am make website more than 100 website in Phuket Phang Nga krabi Chiangmai and Bangkok. Now i am want to make website trang-travel.com pointer to the best website of travel in Trang province in this year. We Garantee trang-travel.com to be number one of Trang Travel website . please support me.